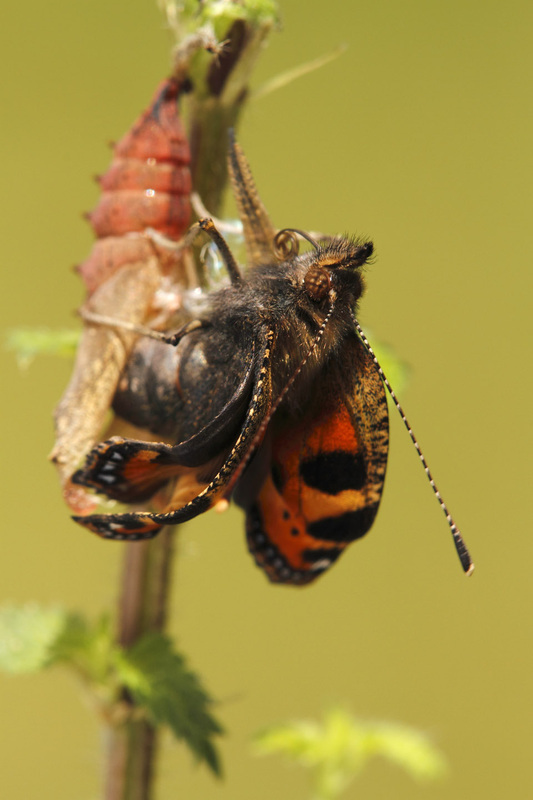 During its life a butterfly passes through four stages, from egg (ovum) to caterpillar (larva), chrysalis (pupa) and butterfly (imago), each stage undergoing a complete metamorphosis. 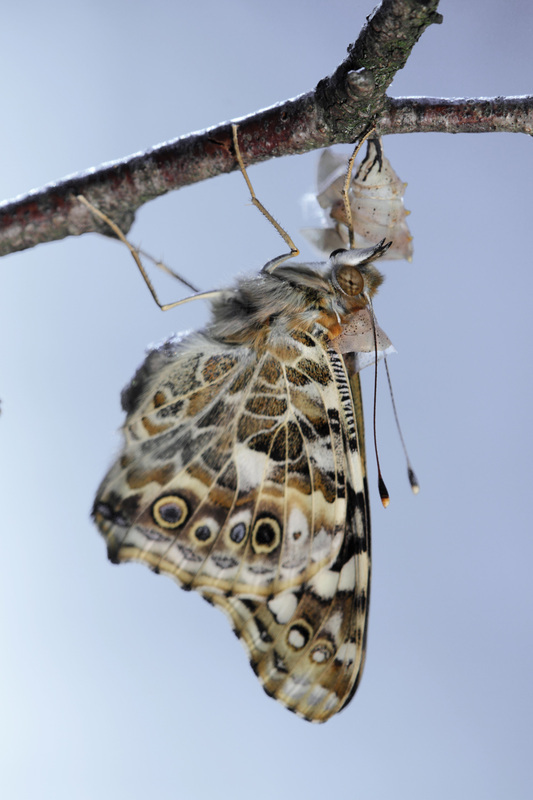 Although some butterfly species pass the winter in the egg stage, the majority of eggs hatch within days after being laid. 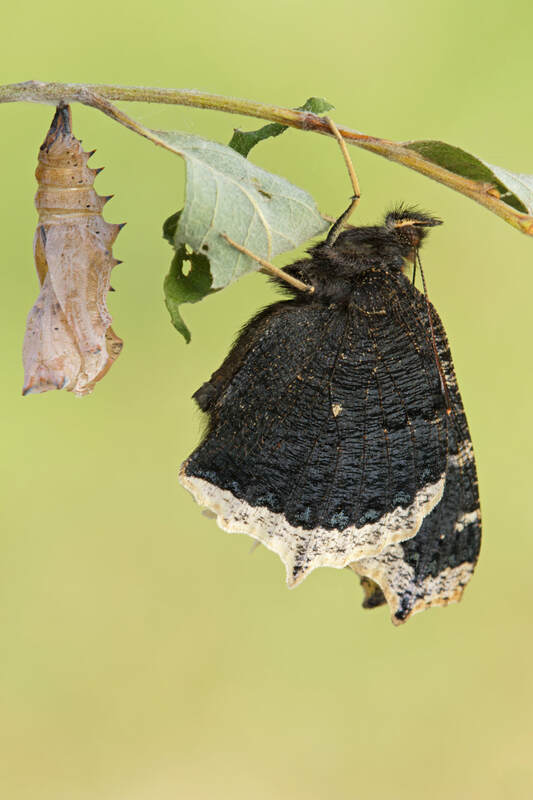 The caterpillar is a remarkable eating machine and rapidly puts on weight; as the skin cannot grow with the caterpillar, the skin-changing process will take place four or five times. 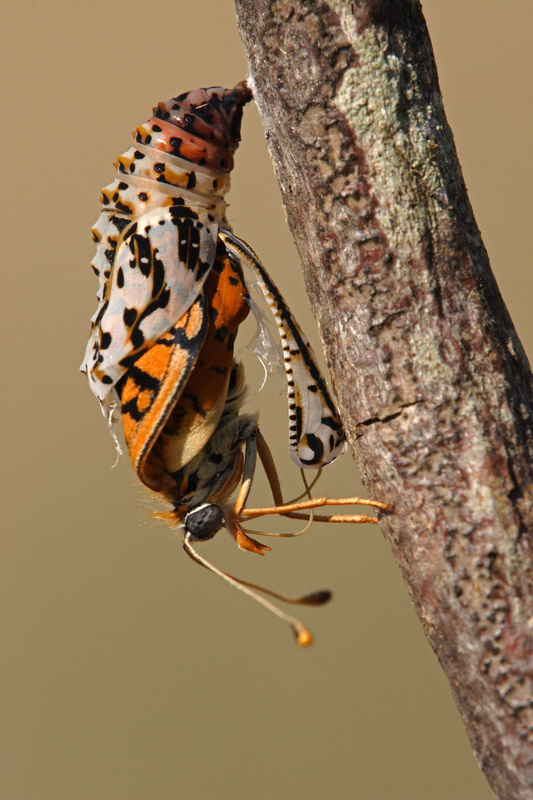 When a caterpillar is fully grown it prepares to turn into a pupa or chrysalis. 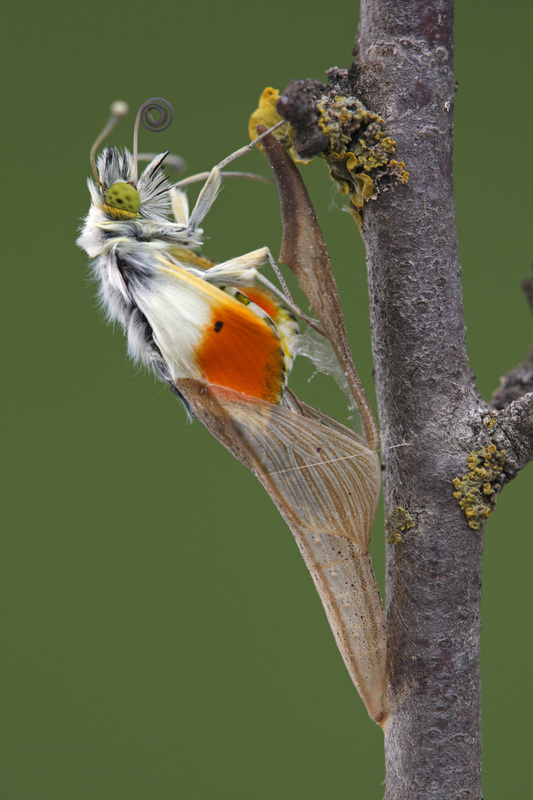 It stops feeding and searches for a suitable place for the transformation. 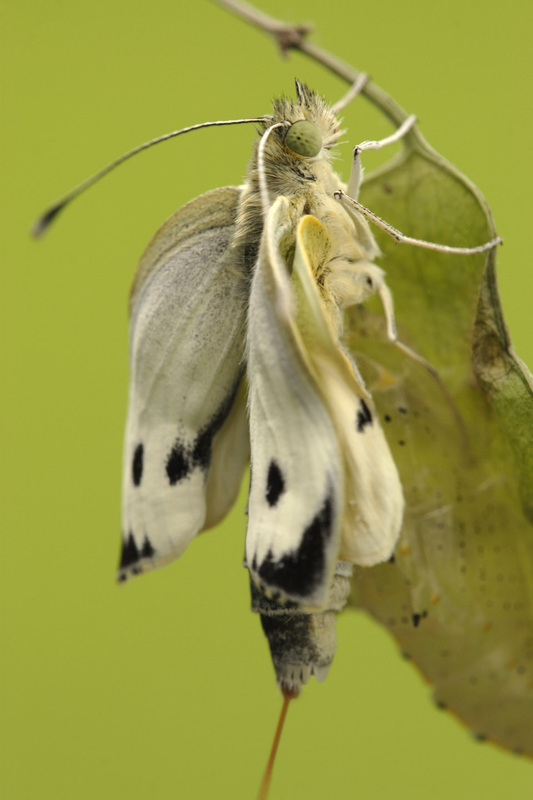 Some caterpillars wander a considerable distance from their foodplant before settling down to pupate. 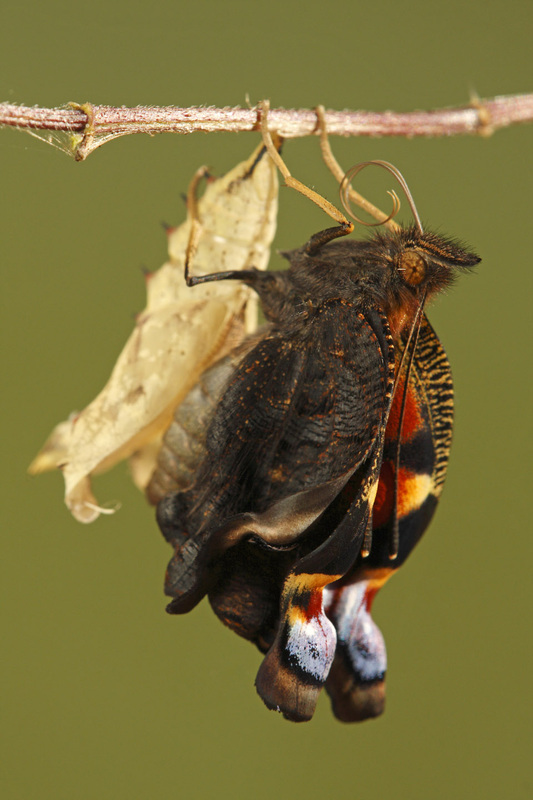 Some species pass the winter in the pupal stage and do not emerge for nine or ten months; others emerge within two or three weeks, depending on temperature. 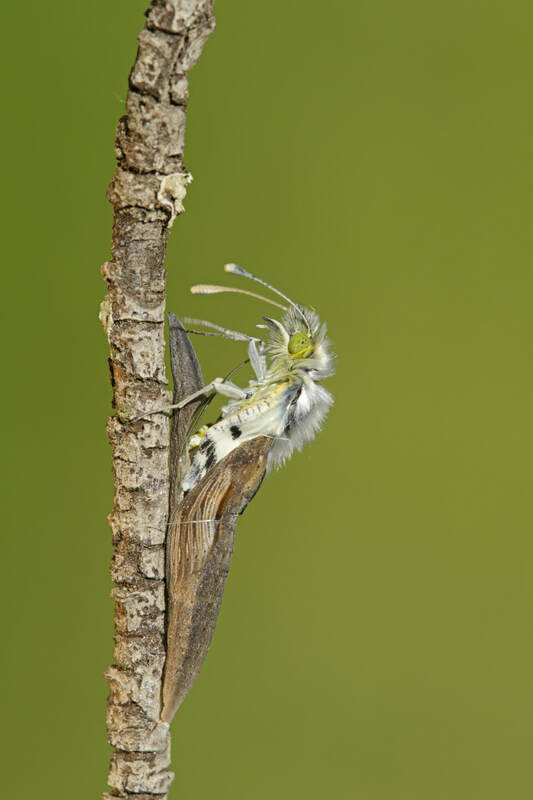 The emergence of the adult is often heralded by the appearance of the wing colours through the skin. 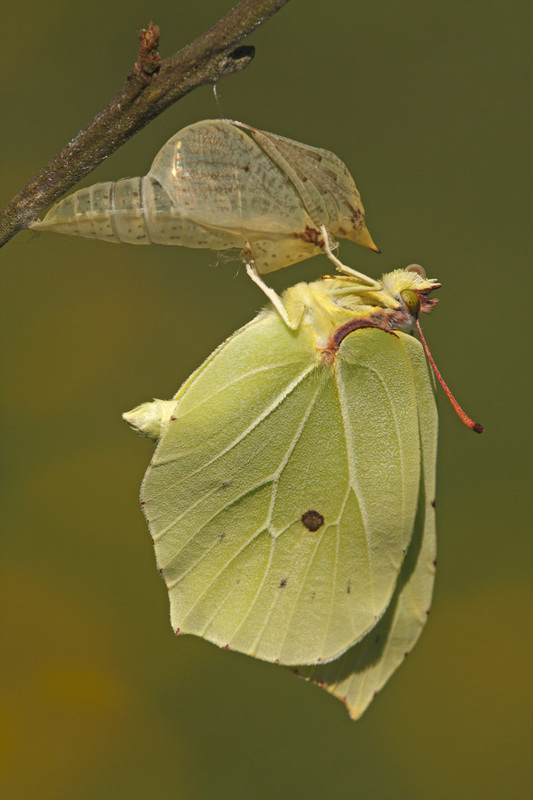 Male butterflies usually emerge from their pupae a few days earlier than females; they are ready to mate as soon as the females emerge. 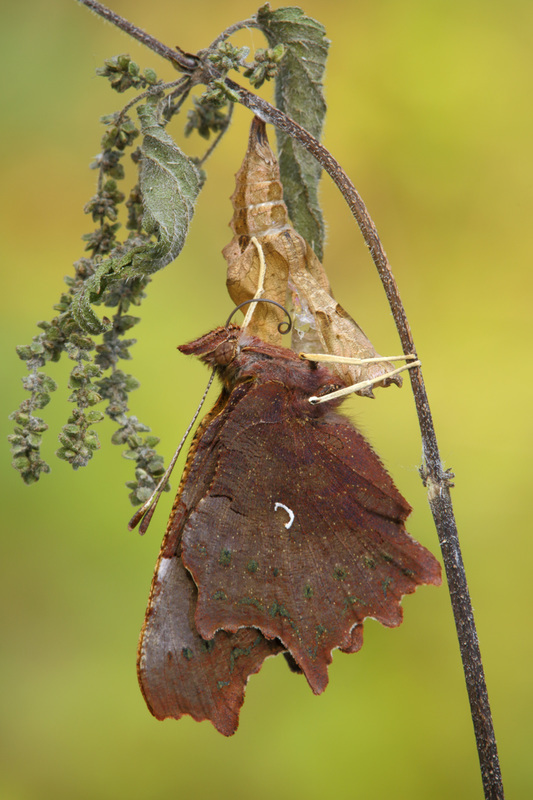 In 1999 I found three pupae on nettles of the Comma Butterfly (Polygonia c-album). When the wing colours appeared I took a chair (of course together with my camera) and started waiting..... 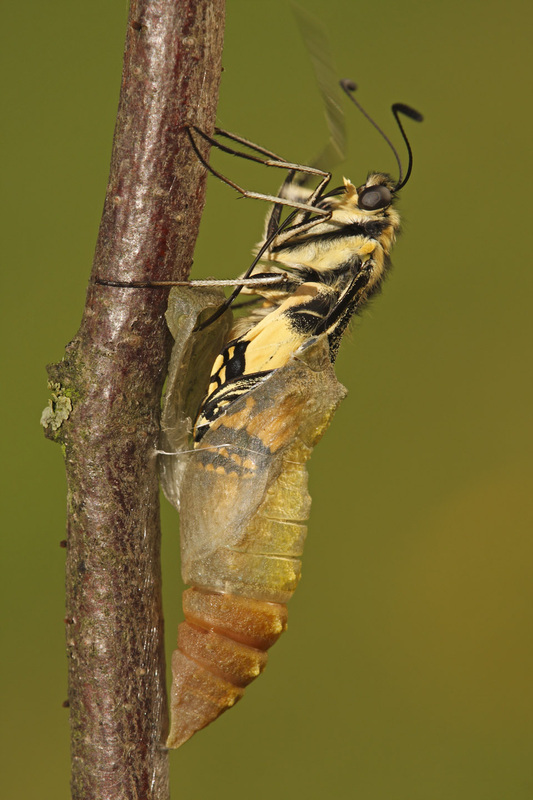 I sat the whole day in front of these pupae but nothing happened. 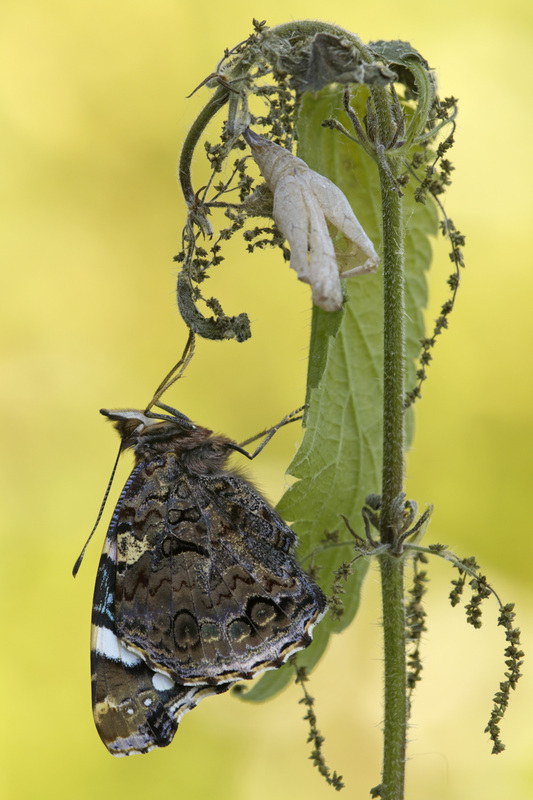 Than inside the phone was ringing.....when I returned a few minutes later two butterflies were hanging on the pupae. That was my lesson for the future....no, unfortunately I did not invent the mobile phone. 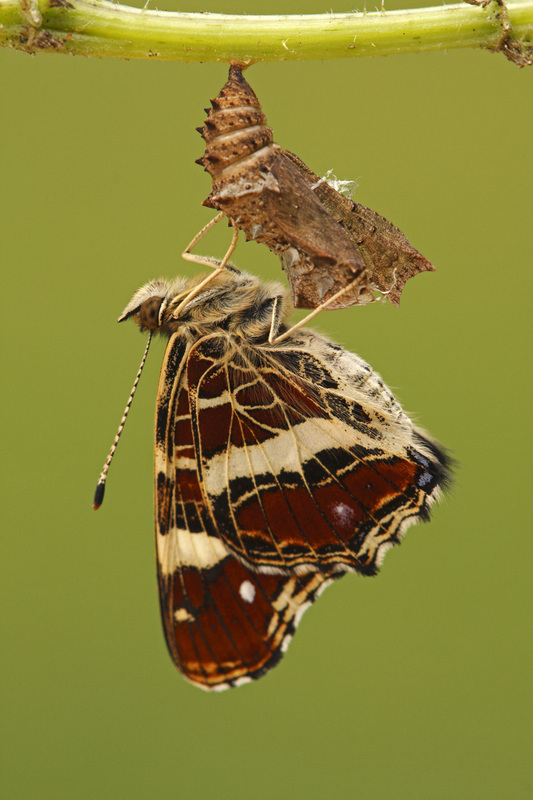 Since that day I spent a lot of time waiting, waiting and waiting to catch the transformation process with my camera.